LFM Suite - Solvotek Mühendislik ve Bilişim Hizmetleri Tic. Ltd. Şti. LFM Suite - Solvotek Mühendislik ve Bilişim Hizmetleri Tic. Ltd. Şti. Access and work with pre-registered 3D laser scan data with LFM Server. Compile point cloud databases of every scan on a project with InfiniteCore™ technology. As 3D data capture continues to become easier and more affordable it has become the technology of choice for an ‘as-is’ representation of your asset. 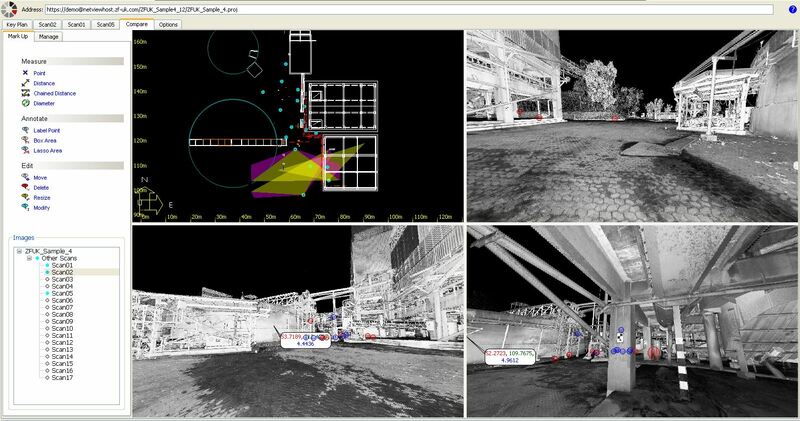 LFM Server™ enables users to maximise the value of the rich information from point cloud data. LFM Server™ is the most advanced solution available for accessing pre-registered laser scan data and working with it directly in 3D CAD systems. It is simple to use and offers unrivalled performance and functionality. LFM NetView provides secure, on-demand access to laser scan data for asset management and project execution. remote 3D laser scan data. More than an online viewing package, it provides tools that allow users to work collaboratively with laser scan data over the Internet. LFM NetView is also available in a stand alone mode, enabling users to operate without the internet in a file based local or intranet mode. Extensive mark-up and measurement functionality facilitates the easy addition of intelligence to any asset. Tablet and Cloud enabled for truly global access and collaboration. The full project can be reviewed in the intuitive BubbleView™. The Online/Offline feature facilitates remote access for on-site operation.